Hey dolls, I have another beauty haul for you! This ones all on body shop. I absolutely love their products, all of them smelling amazing and they work really well on my skin. 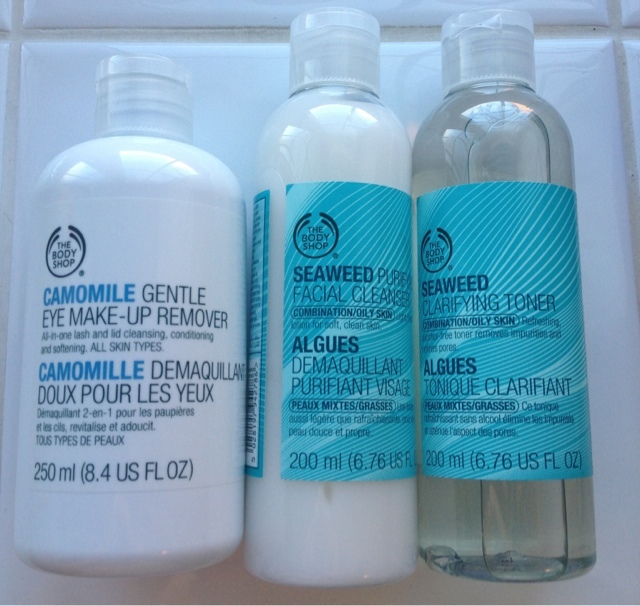 On my face I use the seaweed range which is aimed at oily/combination skin. The mattifying day cream and night treatment are great at giving your skin the moisture it needs without leaving you feeling greasy. Both are mattifying and leave your skin feeling refreshed and looked after. The night treatment is slightly heavier and comes in a serum but again doesn't leave your skin feeling clogged with product. I'd highly recommend these to anybody with oily skin like myself! This is the first time I've purchased the pore-cleansing facial exfoliator and have only used it once so far. The exfoliating beads are larger than I expected but it does a great job to get rid of dead skin although be careful around any sensitive skin areas as it can be quite abrasive. I would personally recommend using it once or twice a week as anymore would probably strip your skin too much but it is a good product and like all of the above it smells lovely! I also used the seaweed cleanser and toner which have similar properties to the day and night cream by not leaving your skin feeling greasy. They remove makeup very easily and leave the skin feeling refreshed. 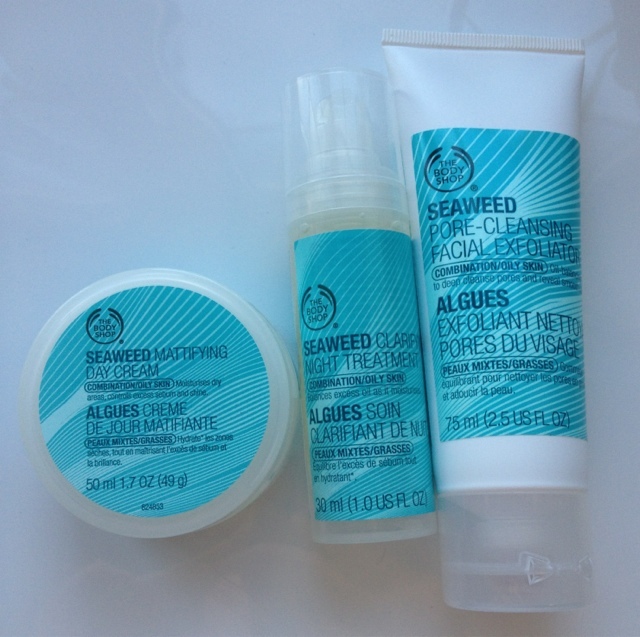 Since using all of these seaweed products my skin is definitely less oily and I have very little break outs! The camomile eye make-up remover is also a little gem. I find a lot of eye makeup removers leave my eyes watering and sting like hell! This one however is very effective at removing make-up (including waterproof mascara) and I have no leaky stinging eye sensation- result! You don't have to use a lot of product and the bottle is huge so it's definitely value for money also. The final two things I picked up in the sale. The first is the passion fruit body butter which usually retails at £12 but I got it for £6. It lasts aaaages and smells amazing!! For some reason this body butter is always in the sales but it's great for me as its my favourite flavour. It lasts on the skin for ages and you don't need a lot of it to do the job. 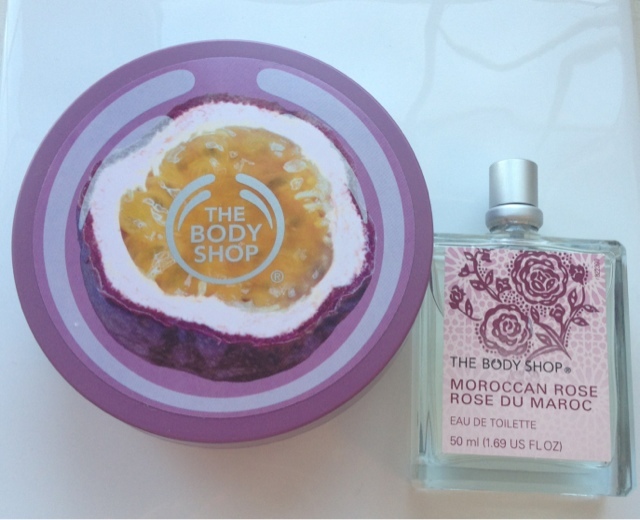 I also picked up the Moroccan rose eau de toilette which was originally £15 down to £7.50! I needed another perfume and this was so cheap I couldn't resist. It is quite a flowery perfume with undertones of spicyness i'd say? (Explaining scents has never been my strong point), and the scent is very long lasting. 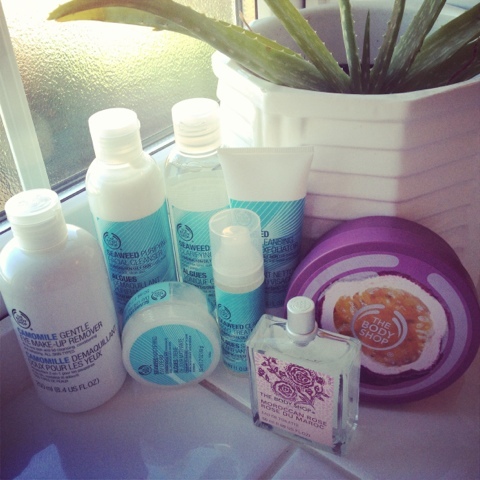 So those are my body shop goodies. Let me know what your favourites are!